Easy Ways to Stop or Prevent a Fruit Fly Infestation. It’s finally officially spring! That means that warmer weather is on its way! Of course, with warm weather comes more bugs. One bug that you’re very likely to see this spring/summer is fruit flies! But don’t worry, you don’t have to spend all spring and summer swatting at these annoying kitchen pests. 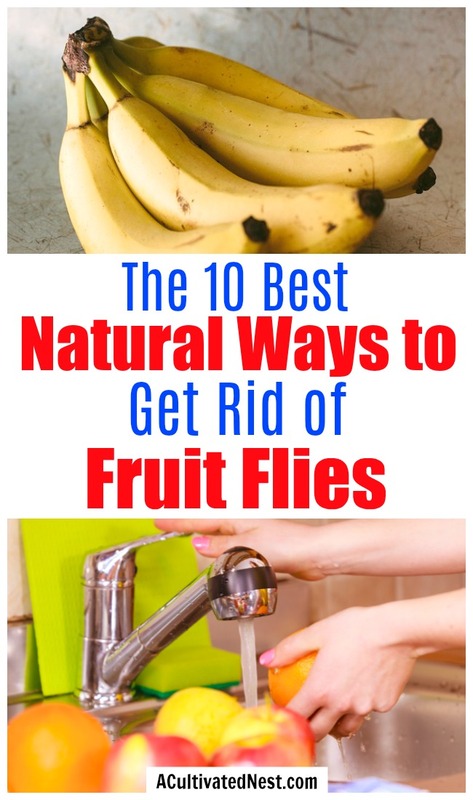 Instead, check out these 10 Natural Ways to Get Rid of Fruit Flies! No chemicals needed! If you have fruit flies, it doesn’t mean that your kitchen is dirty. Fruit flies breed fast, and lay hundreds of eggs at a time. Which means if a few of them make their way into your home via your groceries or an open window, you can quickly have a problem. But luckily it’s not hard to get rid of fruit flies, and you don’t need any chemical bug killer to do it! Fruit flies like moist conditions. So while you of course need to keep your kitchen clean, it’s even more important that you keep it dry. Make sure your sponges can drain (sponge holders are better than sponge dishes for this), ensure nothing’s leaking, and you’re not keeping any wet rags around. I also would use a liquid hand soap dispenser instead of a bar soap in the kitchen, since bar soaps tend to stay wet (I currently have a pretty Mason jar style hand soap dispenser in my kitchen). While fruit flies most likely just came into your home through an open window or door, they also can come in via your groceries, either as adults or as tiny eggs you can’t even see. An easy way to get rid of any potential fruit fly babies is to wash your produce before putting it away. You can use our DIY all-natural produce wash to do this easily. But make sure to do it as soon as you get home! It only takes fruit flies 30 hours to hatch! 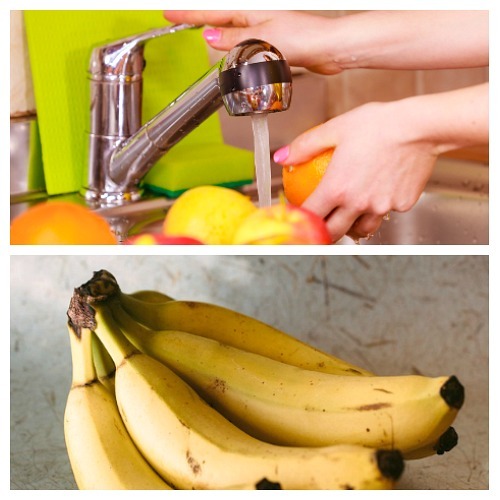 There are a number of ways to create traps to help you get rid of fruit flies. My favorite involves the use of vinegar (fruit flies are also called vinegar flies). They just cannot seem to resist the smell and taste of vinegar! To use this against them, pour some vinegar in a small container (like a small Mason jar or bowl), then add a drop of dish soap. Cover the top of the container with plastic wrap and poke a hole in it with a pencil. This way the smell can get out, but once the flies get in they’ll be trapped in the soap. Your drains could be holding a lot of muck that provides an excellent breeding ground for fruit flies and other pests (including the equally troublesome drain fly). To clear out your drain easily, fill your tea kettle with water and get it to boiling. Then mix in a few tablespoons of dish soap. Pour this hot soapy mixture down the drain. It’ll clear out any mess with ease! You may have heard that vinegar and baking soda has the same effect, but most people don’t realize that the two will actually cancel each other out. Bren Did has a great explanation of why you should never use a baking soda and vinegar mixture to try to clear a clogged drain. If the soapy water isn’t strong enough for your drains, you could also use a commercial natural drain cleaner. Cleaning clogged drains is just one of the many awesome things you can do with dish soap! For some other frugal dish soap hacks, check out these 20 ways to use Dawn dish soap! While fruit flies prefer fermented foods, they are still just flies, which means they also like sweet things like honey and sugary snacks. And they may also decide to take some time to see what other non-sweet open foods taste like. So to keep from feeding them more, make sure all foods (especially sweets) are well covered. Fruit flies are given their name from the fact that they like decaying fruit. Sometimes people think that they cause fruit to rot, but that’s not true. First fruit begins to rot, then fruit flies appear, not the other way around. They prefer to lay their eggs on fermenting food like rotting fruit, but will also use other decomposing foods, like mushrooms. They also like wine and beer (in general, anything fermented is something a fruit fly would love). So if you have any food out of your fridge that’s going bad, eat or freeze it if you don’t want to deal with fruit flies. 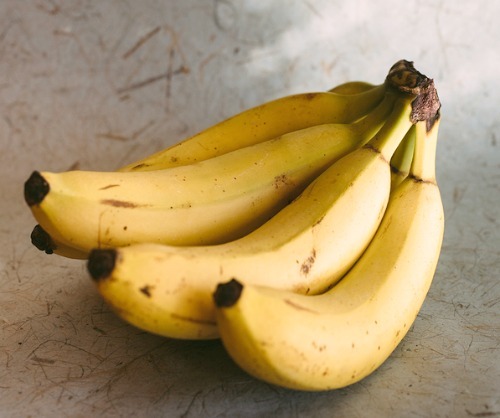 If you have bananas that are going bad, you can use them up in a tasty homemade banana dessert! It’s hard to imagine lavender being used as a repellent. But this sweet-smelling herb is actually very effective in keeping fruit flies at bay. Drop some lavender essential oil on the window sill or near your fruit flies’ favorite areas to keep them away. Of course, the smell won’t last forever, so you may have to do this several times a day. You could also set up a essential oil diffuser and enjoy the calming smell of lavender all day while it keeps the fruit flies away. If you see fruit flies, an all-natual way to kill them quickly is with a DIY spray made of water and lemongrass. Mix a half cup of hot water with 20 drops of lemongrass essential oil, pour it in a spray bottle, and shake it so the oils get distributed. 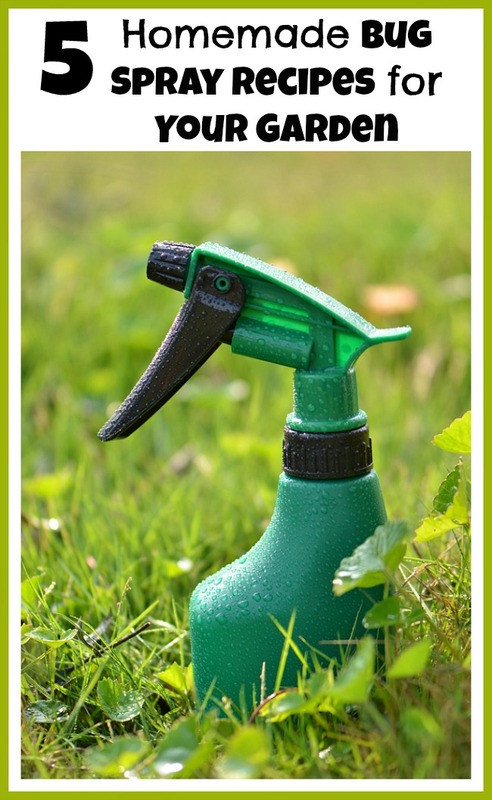 Keep the spray bottle on your counter, then when you see fruit flies, give them a couple of quick spritzes. Just try not to spray your food, especially if your essential oil isn’t food grade. Sometimes some of the simplest solutions are the most effective. One of the easiest ways to get rid of fruit flies is simply to turn on the air conditioning! This is because fruit flies like warm conditions. Also, your fruit won’t spoil as much if your house isn’t warm. Don’t want to spend money on the AC just for some fruit flies? A small fan in the kitchen may also a good solution. The Venus flytrap is famous for being a carnivorous plant, and it actually can help you get rid of fruit flies naturally. But they’re not the only plant! Some other plants you can try are the pitcher plant, and sundew plant. Those two may actually work better than a Venus flytrap, since a Venus flytrap closes up forever once it catches something. But all of them are great at catching bugs, and can help you keep your kitchen fruit fly free. Do you have any tips/tricks on how to get rid of fruit flies or other household pests? Share them in the comments! Great article. Sooner or later, every kitchen will have a fruit fly or two. Those drain flies are the worst – they bite!